KATOWICE: In the skies above Katowice in the heart of Poland’s coal industry, Polish officials are deploying the latest weapon against air pollution: drones that inspect the city’s chimneys. As soon as one of the unmanned aerial vehicles spots suspicious smoke rising from a rooftop, a second one follows up to “sniff” for pollutants with its chemical sensors. Ground-based operators then send police officers to knock on the door of the offending home to see if they are burning poor quality coal, plastic bottles or some other substance. “Most people decide to pay a fine immediately rather than go to court,” Katowice police spokesman Jacek Pytel told AFP, adding that fines can be up to 120 euros ($148). From coal-fired power plants in Europe’s east or car-clogged highways in the west, the European Union has for years struggled to enforce even the relatively modest pollution limits it has set. Perhaps tellingly, at EU headquarters in Brussels, the air quality monitor on the busy road between the European Commission and the European Council buildings was recently not working for several months, according to activist group ClientEarth. The four-lane highway separating the two main EU institutions is one of the most polluted in Brussels and has been at the centre of legal action launched by the NGO and five local residents, ClientEarth said. “Citizens and organisations have a right to clean air,” ClientEarth lawyer Ugo Taddei told AFP. The key issue however is not so much the pollution limits themselves, but rather what action European countries propose to tackle a scourge that claims hundreds of thousands of lives a year. The nitrogen dioxide belched by diesel cars, the curse of big cities, is to blame for 75,000 premature deaths a year, according to figures published last year by the European Environment Agency (EEA). The scourge hits Europe’s biggest economies particularly hard, causing 17,000 deaths per year in Italy, 14,000 in Britain, 12,800 in Germany and 9,300 in France, it said. But the most dangerous substance is tiny particulate matter (PM2.5), which measures a fraction of a human hair in diameter and is responsible for nearly 400,000 premature deaths a year, the EEA said. These break down to 66,000 in Germany, 60,000 in Italy and 46,000 in Poland, 35,000 in France and 37,600 in Britain. In Katowice, Marian Kramarczyk, an 89-year-old with heart trouble, struggles in the polluted air. “When the smog comes, I feel bad. I sneeze, I cough and my heart starts beating faster,” Kramarczyk said. The main culprit in all this is “the coal culture” which is considered “Poland’s black gold,” according to Patryk Bialas, who heads the city’s anti-smog group, Alarm Smogowy. The World Health Organization (WHO) says air pollution is to blame for around one third of global deaths linked to lung cancer. The same goes for cardiovascular disease. For a long time, poor air quality was seen as an environmental issue but now it is “clearly” viewed as a health problem, WHO official Maria Neira told a conference in Brussels in February. “In Shanghai, Beijing, New Delhi people feel it. Here it might be more invisible,” Neira said. 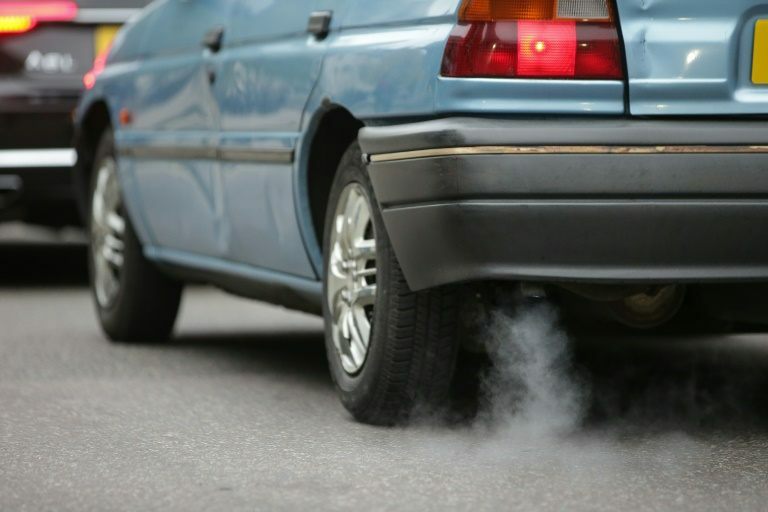 Despite detailed legislation, the EU is struggling to enforce anti-pollution standards. On the European Commission’s desk lie some 33 cases of suspected breaches of air quality standards concerning 23 of the 28 member states and more than 130 cities. Most of the cases concern small PM10 particles, which are only slightly larger than the PM2.5. Two member states — Poland and Bulgaria — have already been taken to task by the EU’s top court, the European Court of Justice, for having not only exceeded limits but having failed to propose immediate remedies. On Thursday, the commission took Germany, Britain, France and Italy — the bloc’s four largest economies — as well as Hungary and Romania to the top court for failing to apply long-sought steps to fix air quality. Germany, Britain and France were targeted for failing to meet limits on nitrogen dioxide while Italy, Hungary and Romania exceeded limits on particulate matter. But the commission spared, at least for now, three other countries — Spain, the Czech Republic and Slovakia — after welcoming progress from them since it gave all nine of them a last chance in January. However, EEB’s Margherita Tolotto said the process behind such action should be “far more transparent” to allow citizens to know why some countries are taken to court and others not. “European air quality laws are being broken on a continental scale,” Tolotto said. A large majority of member countries do not respect the EU rules, and yet, critics say, they are less strict than those of the WHO, for example, on particulate matter. The EEA said between 16 percent and 20 percent of people living in European cities were exposed to dangerous levels of PM10 between 2013 and 2015 — but the proportion increases to between 50 percent and 62 percent if WHO standards are applied. Emissions laws have been a key target for environmental activists since the “Dieselgate” scandal erupted in 2015, when Volkswagen admitted to manipulating 11 million diesel vehicles worldwide to cheat regulatory emissions tests. But Bas Eickhout, a European Parliament member from the Greens party, said that the laws themselves were “not the problem” but the fact that they are not properly enforced. “Look at Dieselgate,” Eickhout said. The crackdown is also uneven across industrial sectors. EU law is “very strict” on road transport, but regulations on other industries are different, said Jens Gieseke, an MEP from the centre-right European People’s Party, the largest grouping in the EU Parliament. The emissions limits become “arbitrary”, Gieseke said. Others lay the blame on EU governments, saying they vote for impressive-looking limits at Brussels summits, but then fail to crack down at home. Nonetheless, Europe has achieved a few successes in improving its air quality. Emissions of sulphur dioxide, the main cause of acid rain, have dropped by 72 percent since 2000, nitrogen oxide emissions have decreased by more than 40 percent, PM2.5 has fallen by more than 25 percent, according to Alberto Gonzalez Ortiz, an EEA expert. But ammonia emissions have declined by only eight percent. France is betting that its national air pollution reduction plan will mean that nitrous oxide limits will be exceeded at only three air monitoring stations in 2030, compared to 49 in 2010 and 10 in 2020.